Eoin Finn is coming back to London, back to TriYoga! Be ready to feel inspired and channel Bliss. Through Blissology Yoga practices and insightful discussions, we will experience why quiet time in nature is the essential spiritual gateway. Learn how to read bodily feedback to release “issues from our tissues” and explore techniques to honor our body’s barometer for inner guidance and healing. You will expand your yoga practice no matter what level you may be at. If meditation seems hard to you, it will be both a easy and a total joy after this course. This program will deepen your connection to your Highest Vibrational Self and is a potent gift to your own life, to your personal relationships, your work and to the planet itself. 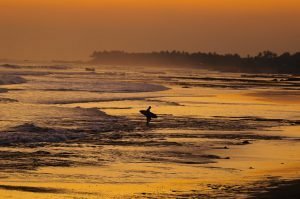 sthiram, sukham asanam: the balance of stability and ease! Understanding alignment allows us to find spaciousness, ease and grace in our yoga practice. 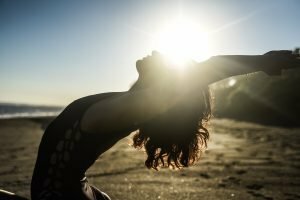 Blissologist Eoin Finn has created a unique and powerful fusion of Western biomechanical principles with classical yoga systems that demystify essential alignment and anatomical knowledge to create a yoga practice that is uplifting and powerful. Move through a guided vinyasa style flow practice where we will put Blissology alignment principles into practice and learn how to find more tone and strength from the inner body, so that we connect to the natural intelligence of flow even in challenging postures. It’s time to get super deep with our hip openers. This means we will take some time to break down the basics of hip function, the muscles we are targeting and the potential risk and alignment strategies so we can choose the appropriate level without harming ourselves. Expect to go deep using Blissology Alignment principles, opening up to our energy body and the wisdom of our deepest heart. As always, the focus is ultimately on opening up to love-the ultimate renewable resource. 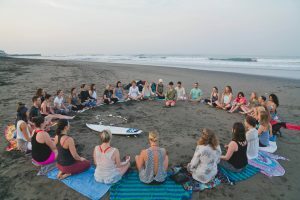 Open up to your deepest consciousness in this paradigm-shifting workshop that includes a short lecture, a rocking vinyasa practice and tangible tools to bring calm, clarity and light into our lives. Eoin offers a masterful interpretation of the ancient yogic chakra system that can change our ability to self-regulate our stresses and our fears. Not only will you get fit, strong and loose, but you will also learn strategies that will contribute to the most fulfilling life possible. Don’t miss the bliss. Students will gain insight into the yogic chakra system, along with powerful Blissology-inspired insights to apply it to the daily yoga practice. The lecture will be followed by a flow/vinyasa practice. Open to all levels of yogis. We will take time to get centered and to tune into the “wise guide inside.” We will tune into our compassionate, intuitive and present selves. Expect to warm up with joyous and fluid standing poses, followed by some core work, some deep climax poses and lots of time to stretch and calm the nervous system during the final wind down. We will free ourselves of any conditioning to have our self-worth judged by others and connect deeply to our inner Blissologist that is happy for no good reason. Explore what a pleasure it is to tune into our joy-body in this yoga class and in life. Early bird ends on August 1st. For more info and to register, check TriYoga’s website.